Rumor is the operative word here. In a story ran by Inside Line ((Source)), it was emphasized – rather heavily – that it is all conjecture and whispers, and that no official verification has been received. Then again, these kinds of rumors always have a source. As they say, where there is smoke, there must be fire. So whether or not this piece of news is true, let’s feast our eyes on what is supposed to be on the drawing board over at Hyundai: a new supercar that is set to blast a lot of competition out of this world. Think Chevy Corvette Z06. Think Nissan GT-R. Let’s add the Jaguar XK, BMW 650i, Porsche 911 and Cayman to that list. All of these are jaw-dropping, drool-inducing cars, but they just might be in for some competition from Korean car maker Hyundai – if there is any truth to the rumors. 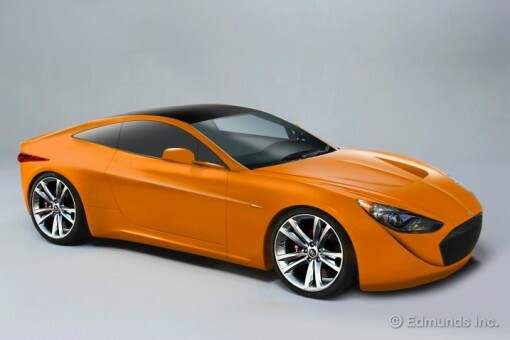 So this car may not exist according to official channels, but the grapevine tells us that the Hyundai supercar is is going to be V8 powered and that the price tag would be anywhere from $80,000 and $100,000. More so, little birds have been saying that the same engine powering the Genesis R-Spec will be found under the hood of the yet unnamed supercar. 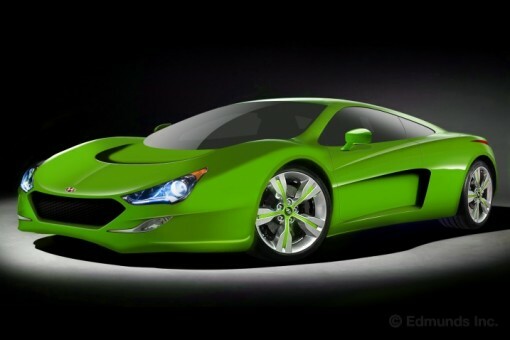 That is, it will also have the all aluminum Tao 5.0-Liter V8 – something totally new from Hyundai, by the way. In addition to this detail, it is also being said that Hyundai engineers and designers are looking at front engine and midengine designs at this point. The rumors have been dismissed by John Krafcik (Hyundai CEO) as “scurrilous nonsense” ((I just love the fact that he used that adjective.)) but that should not stop us from enjoying some eye candy – and from looking out for more rumors and leaks! If the new supercar is going to look anything at all like these two images above, then car lovers will be in for a treat. Never mind that most of us will not be able to afford one.